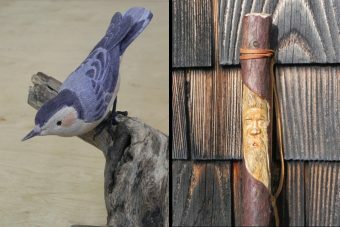 Materials fee of $20 for wood bird blank, glass eyes, pewter feet, or $10 for walking stick, and handouts. Additional blanks will be available for purchase from instructor. Tools will be provided for your use, or bring your own. Spend a relaxing and creative time as you learn the art of woodcarving. We’ll begin with a discussion of carving tools and their care. Your project choice will be either a Nuthatch or walking stick with a carved face. Step-by-step instructions for carving are included, and for the Nuthatch, installation of eyes and feet, finishing and mounting. Also covered will be patterns, transferring them, and cutting out blanks. If you prefer to bring a work in progress, Jerry will offer his advice and guidance. 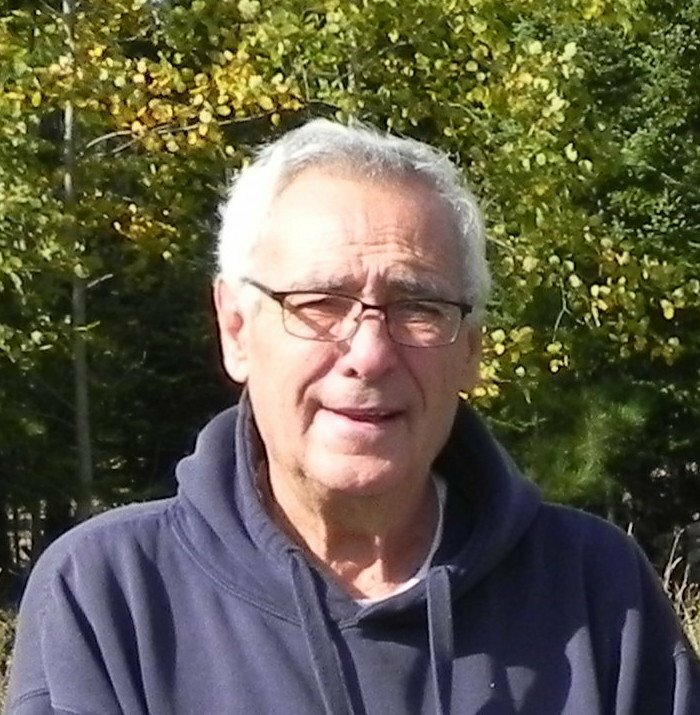 After retiring as Director of Horticulture for the Green Bay Botanical Garden in 2002, Jerry Landwehr resumed his love of carving and began taking classes. He tried a wide variety of styles and techniques before focusing his efforts on birds, beginning with primitive and moving to more realistic carving. Jerry splits his summer time between Washington Island and De Pere, WI. Each winter while residing in Florida, he teaches classes to students ranging from beginning to advanced carvers.